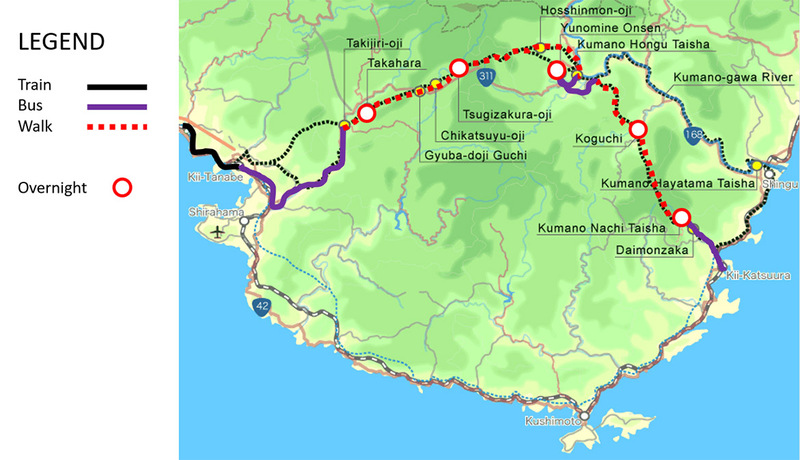 This is the classic Kumano Kodo Nakahechi trek from Takijiri-oji to Kumano Nachi Taisha via Hongu, with 4.5 days of walking. 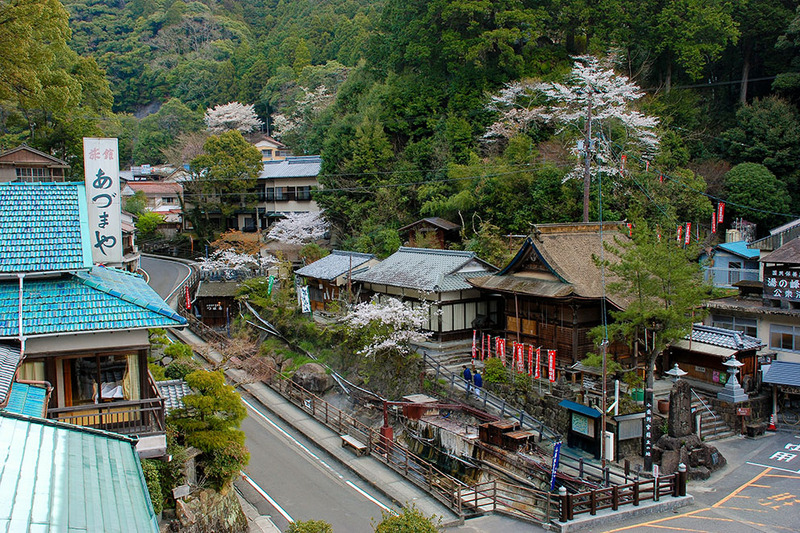 Overnights along the way feature hot spring baths and delicious, authentic Japanese food. An immersive experience for the adventurous pilgrim. It is a challenging multi-day walk so being fit and prepared is important. Walks can be shortened or skip with the use of public transport. Recommended For: Active walkers, with experience doing multiday walks in a mountain environment. Home to Japan’s tallest waterfall. 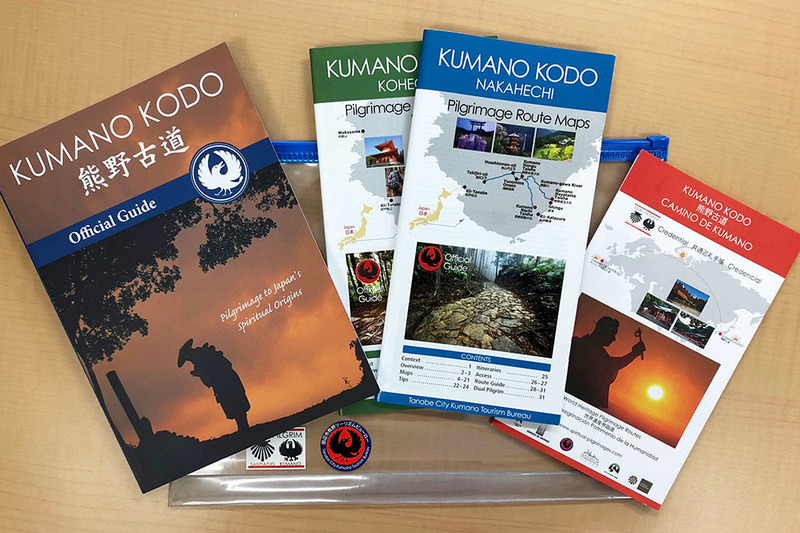 DAY FOUR is a full day walk from Hongu south on the Kogumotori-goe section of the Kumano Kodo pilgrimage route to the small village of Koguchi. 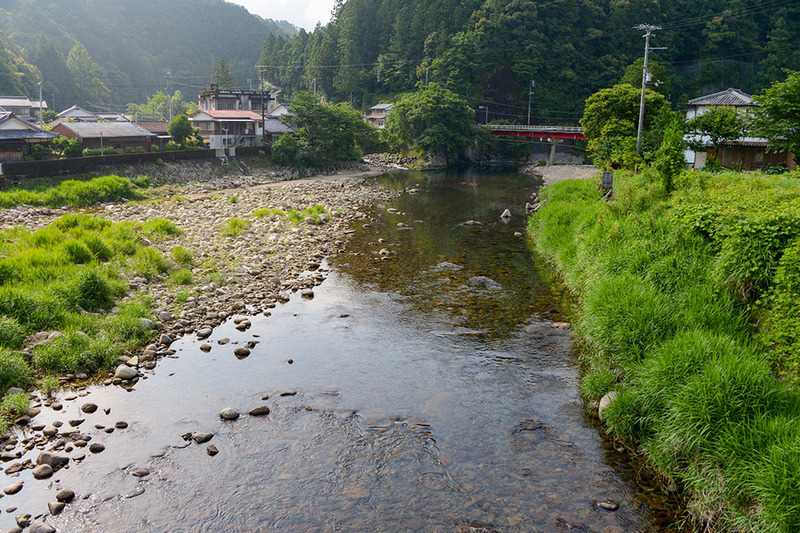 The Kogumotori-goe is a pass over a mountain range between Hongu and Koguchi. The northern section is a gradual climbing gradient, mid-section has some ups and downs, and the southern descent is the steepest portion. 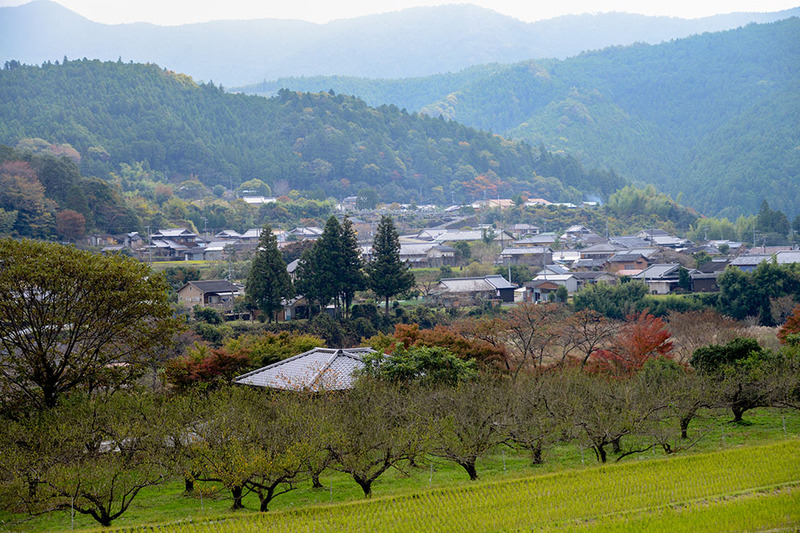 Koguchi is a tiny settlement in a valley bottom surrounding by lush green mountains, the stopping point for walkers between the Kogumotori-goe and Ogumotorie-goe sections. Several small rivers converge here, offering enticing swimming sites in the summer months. There is limited accommodations in Koguchi. If these are not available then transferring to a nearby village is an option, such as Kumano-gawa or Takata. 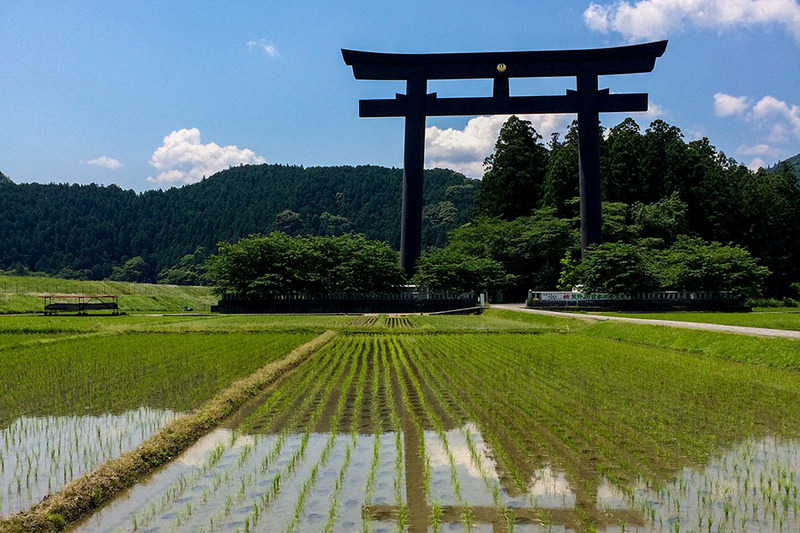 DAY FIVE is a full day walk from Koguchi south on the Ogumotori-goe section of the Kumano Kodo pilgrimage route to the shrine-temple complex of Nachisan and Japan's tallest waterfall. This is considered one of the most difficult sections on the Nakahechi route: Not technically difficult but some long climbs and descents often with cobblestone lined trails, which can be slipperly, especially when wet. 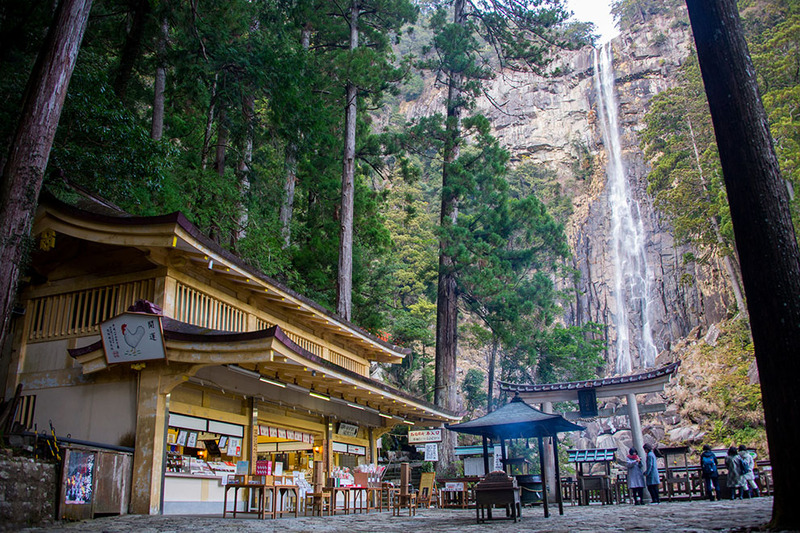 The Ogumotori-goe connects Koguchi and Kumano Nachi Taisha, site of the divine Nachi-no-Otaki, Japan's tallest waterfall. This is often considered the most difficult section on the Nakahechi route, so best to give yourself enough time to complete the walk. As there are no escape routes, if one doesn't feel up to the challenge, take public transit to Shingu and then onto the shrine grounds. 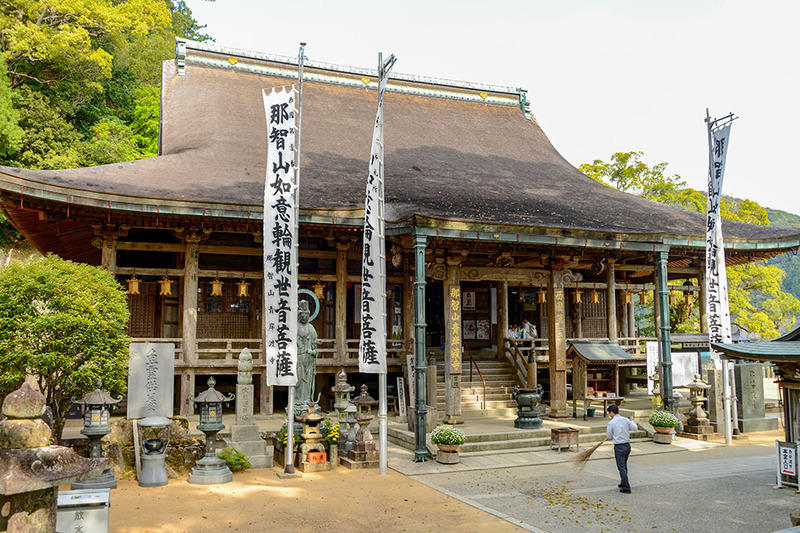 Seiganto-ji temple was founded in the early 5th century and is one of the oldest buildings in the region. The view from the temple grounds is dramatic, featuring a pagoda with the falls as a backdrop. 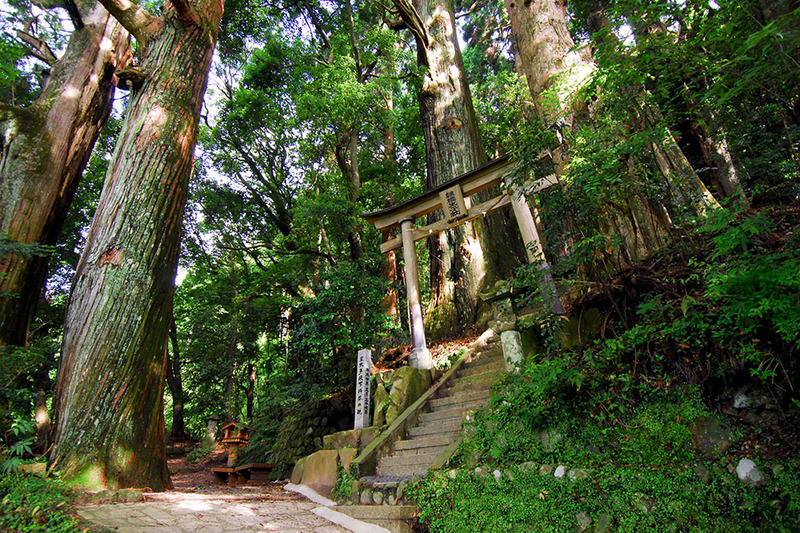 One of the three grand shrines, Kumano Nachi Taisha is located halfway up Nachi Mountain, about 350 meters above sea level. It has its religious origin in the ancient nature worship of Nachi-no-Otaki falls. 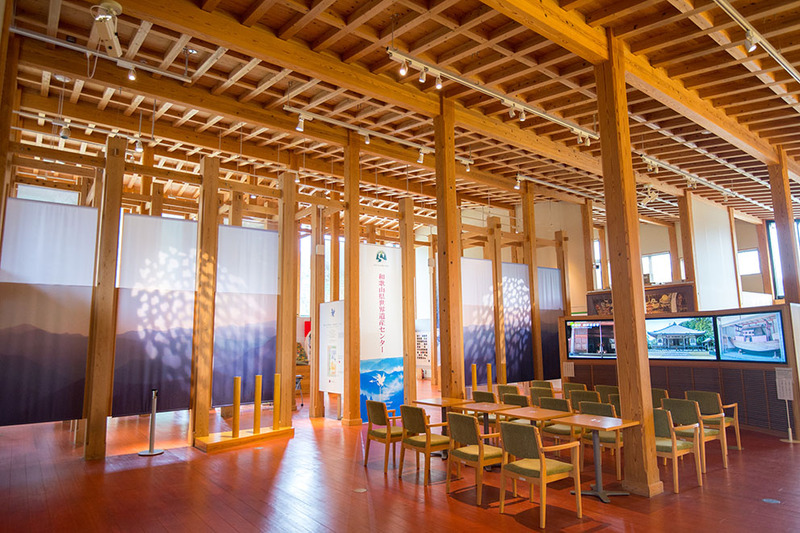 The branches of a giant camphor shades the roof of the worship hall. Nachi-no-Otaki is 133 meters high and 13 meters wide - the tallest waterfall in Japan. It's water source is the surrounding broad-leaf evergreen primeval forest, a sanctuary that has been protected since ancient times, used for ascetic training by mountain monks who practice Shugendo, a mixed religion of foreign and indigenous beliefs. 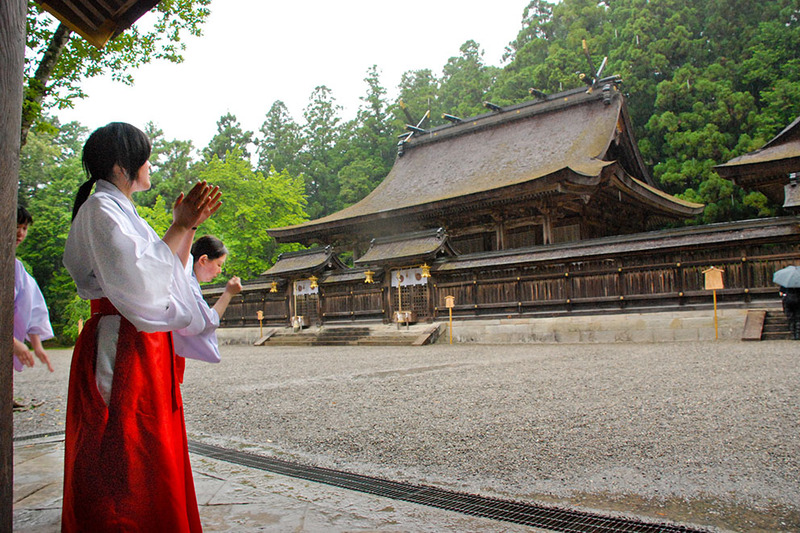 Mitaki Sanso guesthouse is located just below the shrine grounds. 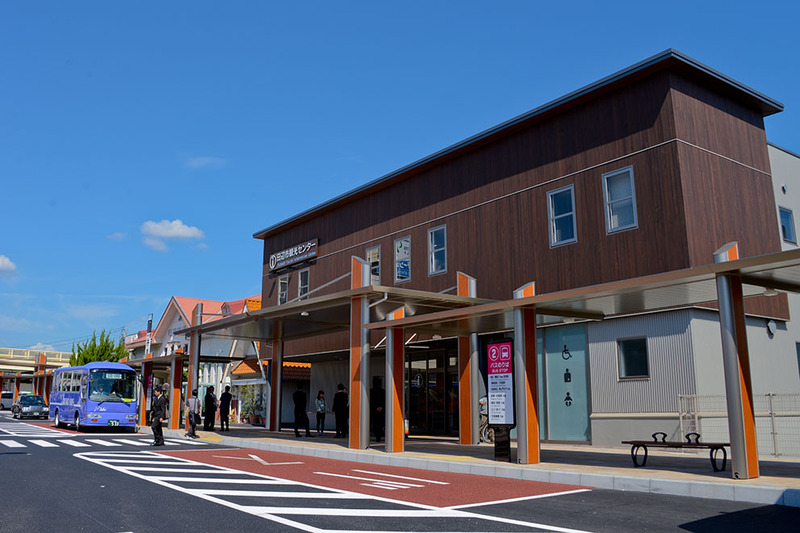 It is a 25 minute bus ride Kii-Katsuura station where other accommodations are located. DAY SIX is the last morning of the visit. 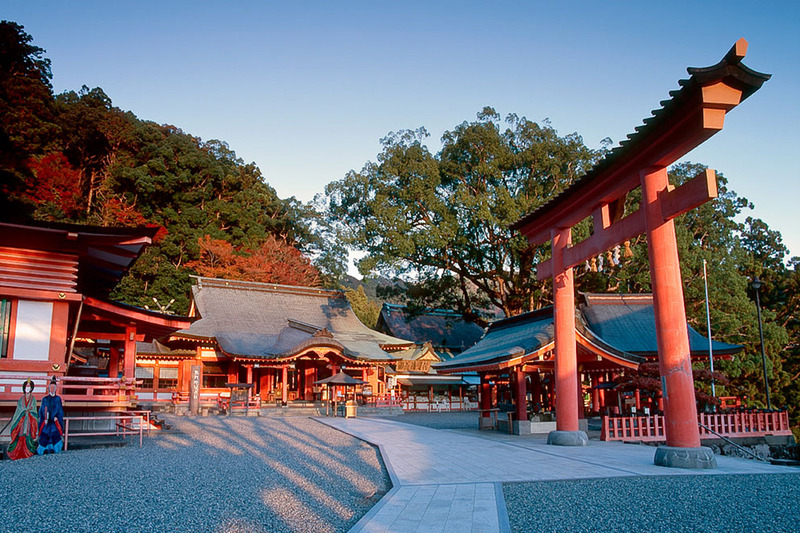 Spend some time in the morning to re-visit the shrine grounds and falls area before the crowds arrive. 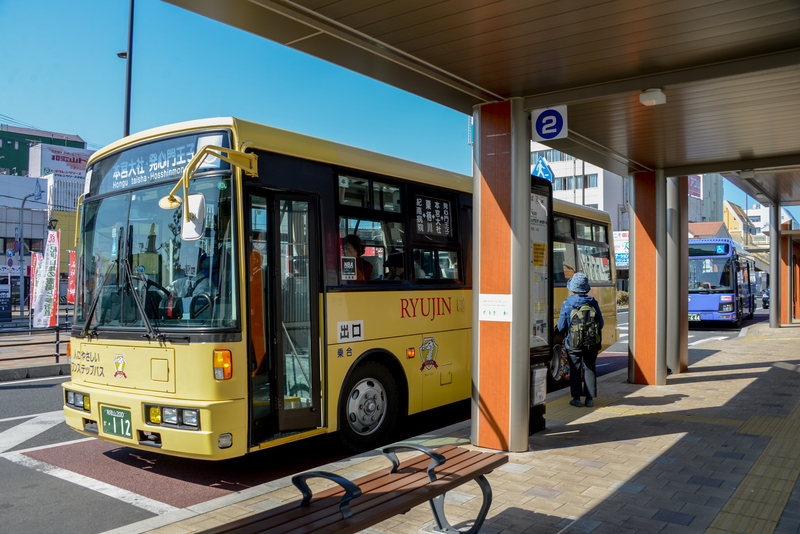 Then bus to the Kii-Katsuura station where you can walk around the village and have lunch before taking the train back to Osaka. 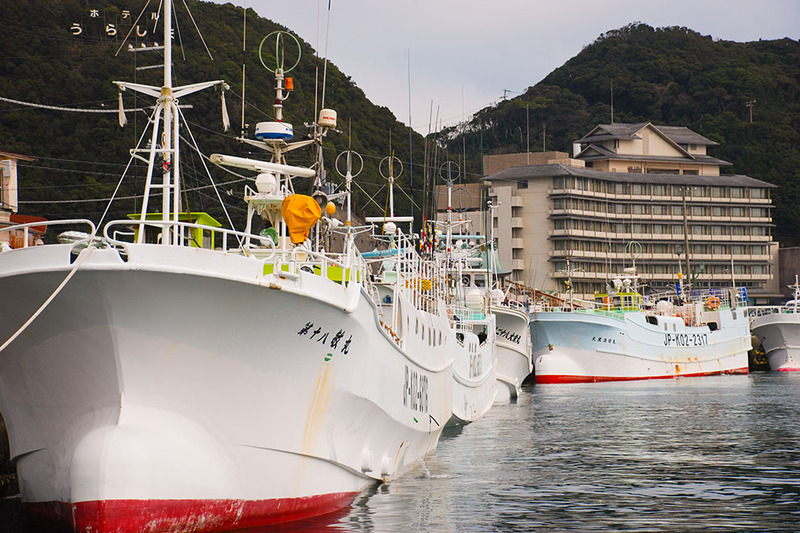 Katsuura Onsen is a fishing port on the rugged Pacific coastline. 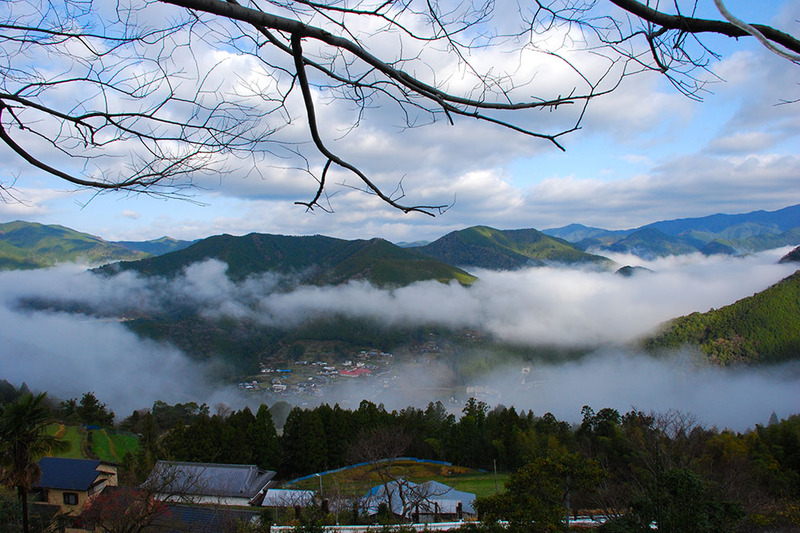 This coastal village famous for its hot spring baths and world-class seafood. There are a diversity of small restaurants near the station. Ask at the tourist information office in the Kii-Katsuura station. TIP: Leave your luggage in the coin-lockers at the station. 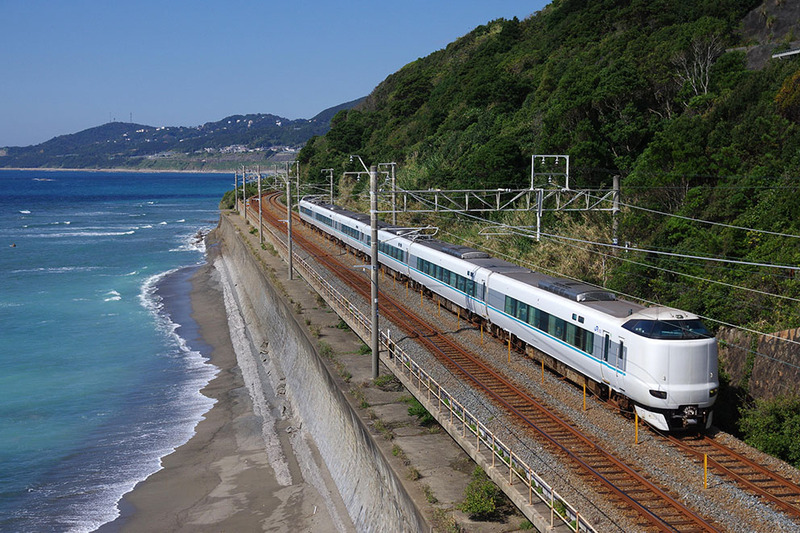 TIP: Sit on the lefthand side of the train for the best coastal views. 1. Visiting the Kumano Hayatama Taisha in Shingu before taking the train to Osaka. 2. Staying another night in the Katsuura area to enjoy some downtime to recuperate from the walk. 3. Head east up the coast towards Ise and Nagoya.